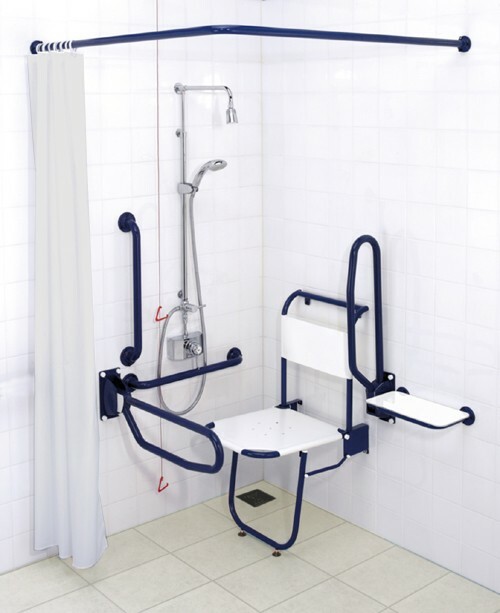 Arley Doc M > Shower Pack With Blue Grab Rails. 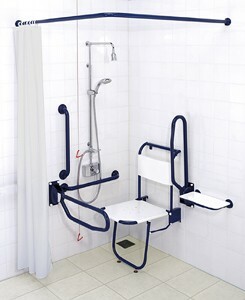 Shower pack with blue grab rails. 2 x High quality showering curtains with rail and rings. Thermostatic TMV3 shower valve with lever operation. Overhead and hand shower with lever operated diverter.